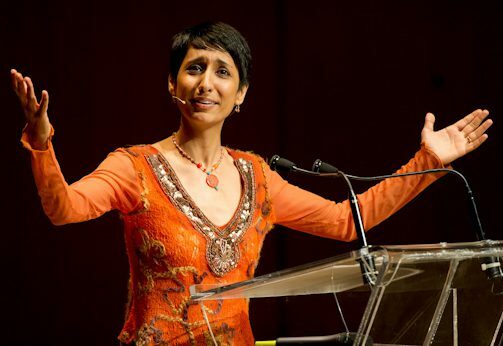 If it’s debate she wanted to spark, Irshad Manji has been successful. 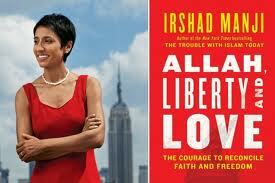 Her first book, The Trouble With Islam, was called “Bin Laden’s worst nightmare” by one reviewer. As a result, she does not talk much about where she lives — and doesn’t spend much time there. Both books challenge the stifling conformity in which she says Islam is trapped, and both question what she sees as errant and perversely violent interpretations of verses from the Qur’an (her preferred spelling). The first book paints a bleak picture of contemporary Islam, a faith she nonetheless refuses to abandon, while the second book seeks a more hopeful way forward. The central concept she espouses is ijtihad, derived from the same verbal root as jihad, or struggle. Manji defines ijtihad as the Muslim tradition of dissenting, reasoning and reinterpreting. “Ijtihad is about struggling to understand our world by using our minds,” she writes, and this “implies exercising the freedom to ask questions – sometimes uncomfortable ones.” This tradition, she argues, has a glorious past. Its revival would help Muslims enhance their faith and throw off oppressive strictures. She lectures frequently and is featured regularly on television with the likes of Christiane Amanpour, Salman Rushdie, and David Frost. She responds to innumerable disputatious emails from her highly interactive website — one that offers, among other things, a downloadable guide for Muslims contemplating interfaith marriage.